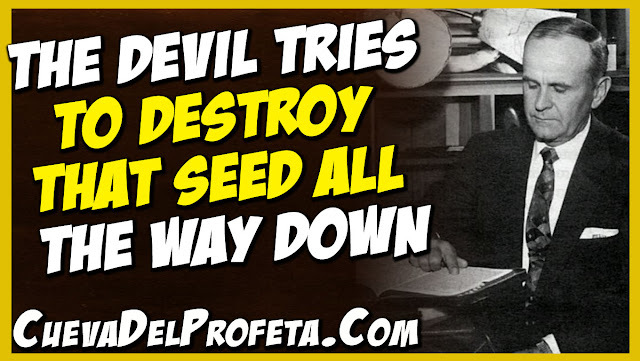 And now, when God promised a royal Seed that would come forth as a Saviour, it's been the work of our—God's enemy, the devil, to try to destroy that Seed all the way down. The first thing, when the righteous son was born, Abel, and the unrighteous was born, Cain, first, he slew Abel thinking he was getting that righteous Seed. For he was standing there when God pronounced the everlasting earthly judgments upon the people, and upon the serpent, and upon the ground, and He promised through the woman would come a Seed. 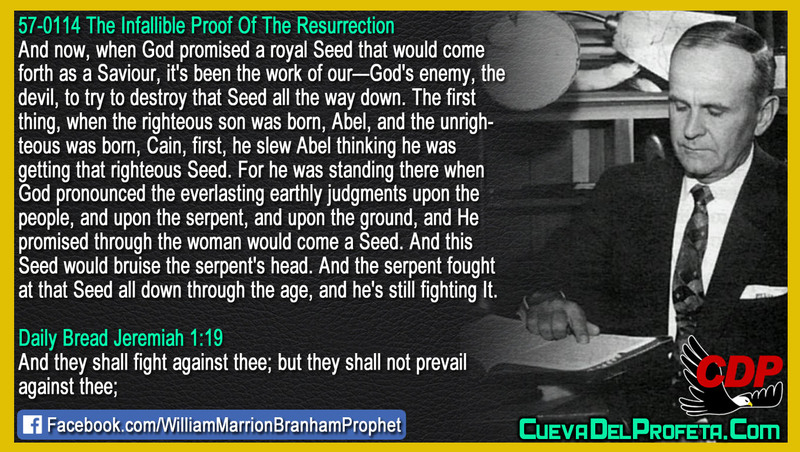 And this Seed would bruise the serpent's head. And the serpent fought at that Seed all down through the age, and he's still fighting It.